Oh, how I love that wee tingle of the sun on my shoulders. That time of the day before it’s too hot and annoying but warm enough to leave you feeling all glowed up and fabulous. It also had me thinking about adding more Anti-oxidants onto my skin and into my meals again as the sun – more specifically UV RAYS – are one of the major causes of free radical damage which is the fastest way to age your skin prematurely. I’m sure for most of you it sounds a bit like I’ve started using Word of the Day toilet paper in that paragraph so let’s rewind a bit and I’ll explain it all properly. 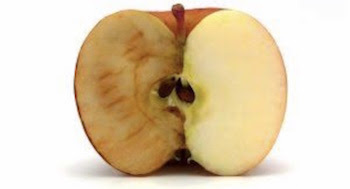 What happens when you peel an apple? A – it goes brown. What happens when you don’t paint a tin shed? All forms of deterioration or ageing are from the number one ageing factor – OXIDISATION OR FREE RADICAL DAMAGE. Here is a little bit of science behind Free Radical Damage…. The smallest particles that make up matter are atoms. An atom is so small that a single drop of water contains more than a million billion atoms. Every skin cell is made up of millions of atoms. Every atom has many electrons spinning around it – all perfectly balanced. When oxidisation takes place, this balance is disrupted. In simple terms – what happens is an electron is stolen from a complete ‘good’ atom by a free radical. In brief – a free radical is an atom with a missing electron looking for a replacement. This is the major factor in the aging process including the aging of our skin. This stealing of electrons continues until more and more atoms are being left with electrons out of balance so what do all of these ‘unbalanced’ atoms do? They steal another complete atom electron and the process just goes on leaving behind a trail of damaged atoms because even though they might have replaced their missing electron – they are still considered damaged because this new random electron is not their own. This free radical damage is why scars and lines stay even though our skin replaces itself every 28 days – the damage is programmed into our cells and the DNA is altered to replicate the damage. So how do we STOP free radicals ageing our skin?? To prevent free radical damage also referred to as oxidative damage, the best way is to cover up and protect so that the oxygen does not attack! How do we stop the apple going brown? How do we stop the tin shed from rusting? A – we paint it! Now we can’t put our skin into a plastic container can we – so the answer to stopping free radicals attacking your skin is ANTI OXIDANTS! Topical and internal antioxidants provide protection against environmental damage to the skin and are the most effective way to slow down the ageing process. 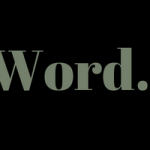 Think of the words – Anti and Oxidant. Anti which means to be opposed to and oxidant – SO – anti oxidants stop the oxidisation process or the free radical damage by providing that missing electron, so your atoms don’t go on an electron stealing rampage. So what are the causes of Free Radical Damage? We are exposed or introduced to Free Radicals in two VERY different ways. Free radical production is unavoidable which makes it even more important to start doing something about it! So how do we counteract the production or introduction of Free Radicals?? One of the major causes is cigarette smoke – Smokers increase their cancer risk by 85% and it is also one of the quickest and best ways to age and damage your skin. Another major cause of free radical production! The UV rays break down collagen and elastin fibres & damage DNA which all leads to wrinkles, discolouration and poor skin texture. Sun is essential for good health and getting some between those warmest hours of the day when the sun is highest in the sky is FABULOUS but be sun smart and take it easy. Use a good mineral make up that is also SPF or a natural sunscreen that has a physical blocker in it NOT a chemical and use a hat to cover up. How does our skin naturally fight Free Radicals?? Your skin possesses a built in anti oxidant defence system to deal with oxidative stress, especially exposure to UV rays – it is called the Acid Mantle. The purpose of the Acid Mantle is to keep bacteria away and to protect the skin from all the ‘bugs’ out there. Just like putting a lemon on the apple, this protective layer also protects your skin from oxidisation and free radical damage. What is the Acid Mantle?? The acid mantle is a combination of sweat from your sweat glands and the sebum (your skins natural oil). The two are secreted onto the surface of the skin to form this invisible protective layer. How does the Acid Mantle work?? Have you heard of the term pH? pH stands for ‘potential in hydrogen’ and is measured on a scale of 1 – 14. With most acidic being 1 and most alkaline being 14 with 7 being neutral. Your skins pH must be acidic to be healthy and functioning to its best ability hence the term ‘acid’ mantle. How to know if your skin is the right pH? After washing your skin does it feel tight or squeaky clean? If you didn’t put moisturiser on, would your skin feel dry or like it would crack if you smiled?? If you answered YES to either of these questions, chances are you are stripping your acid mantle unnecessarily. Ensure you are using a pH balanced cleanser to clean and remove make up from your skin. You will know by the ‘feel’ of your skin after using it if it is balanced or not. Skin should feel soft and dewy – not tight and squeaky clean! Teenagers with acne are the biggest culprits for stripping their acid mantle – not knowing what to do with their pimples and society and media telling them they should have perfectly clear skin they wash and scrub their faces with every available soap and detergent product which totally destroys their acid mantle and lets bacteria thrive with infected pimples and acne the result. A good rule is – if it foams – it will strip. BUT this isnt always the case these days – our foaming cleanser uses a safe and natural foaming ingredient but this isn’t the case in most products that foam. As a general rule though – this works. So definitely stop using so much soap. Only use soap on the bits that really need it and use a natural glycerine included soap when you do. Aromatic showering is a great alternative for body cleansing without soap and using a pH balanced cleanser for the face. Body brushing is another great way to ensure you get that clean feeling without stripping your skin. Always brush towards the heart and use brush dry or wet – up to you. Often feeling ‘unclean’ without soap is simply from years of physiological conditioning of having to use soap head to toe! If the last thing you did before going to bed was clean your skin and apply a serum or cream – why when you wake up do you need to clean your skin again – unless maybe you live in a cave and roll around in the dirt while you sleep – then it’s probably a good idea. Like all things in life there are always times when this myth might in fact apply. People with excessively oily skin do sometimes feel better after cleaning their skin in the morning – we would suggest misting with one of our face mists first and seeing how they feel or simply with a damp face cloth. After a few weeks on their new skin routine – the excess oil will start to settle down anyway. Another time cleansing in the morning might apply is if you went out the night before and didn’t really clean your skin as well as you normally do – then give it another clean in the morning but other than that – a gentle wipe over with a damp tepid face cloth is all you need – or simply apply your chosen cream and sun protection product and off you go! We like to keep cleansing really easy and we offer 3 options that each and every skin type can choose from. You simply need to decide if you prefer a cream, a wash/foam or an oil cleanser – all of them are pH balanced and will make sure that your ever important Acid Mantle is being taken care of properly. You can find out more about our cleansers HERE. So back to how we protect our Acid mantle and fight free radicals…. How else can we fight Free Radicals? How many of you drink green tea?? 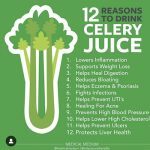 The Japanese have been drinking it for centuries and their incidence of degenerative disease caused by free radicals is very low! They often look younger than their years – the anti oxidant qualities can be obtained by drinking it hot or cold. Research is continually uncovering healing and protective effects from green tea both as a beverage and a compound applied to the skin. Green tea will help fight damage from sunlight and other forms of oxidative stress. Oxidative stress to the body such as smoke and pollutants in the air which means if you do insist on smoking (to the detriment of your skin) at least drink lots of green tea – drink as much as you like because you cannot overdose on it. Another way to internally fight Free Radicals is to hold the A.C.E card. Vitamins that have had the most popularity when it comes to anti oxidant protection are Vitamins A, C & E which are readily found in fruits and vegetables plus other foods. Vitamin C is also reported to make your skin less sensitive to the sun which is good if you are prone to pigmentation and discolouration. A high-quality supplement of these vitamins is sometimes required even with a healthy balanced diet as cooking and preparing foods can eliminate the vitamins before they get a chance to even get into our bodies. Lycopene is a carotenoid that is important for healthy skin. There are approximately 600 members of the Carotenoid group. Beta Carotenoid is possibly the best-known Carotenoid however Lycopene has twice as much anti oxidant potential. 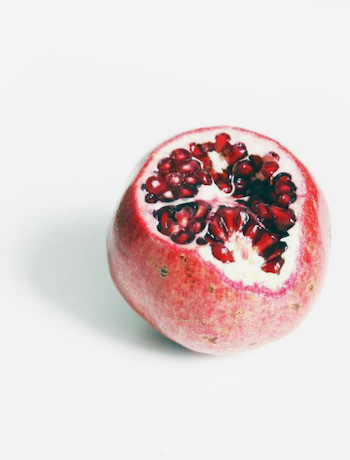 Found in high doses in tomatoes and other yellow, orange and red fruits like Pomegranate which is also a primary ingredient in our Restore Serum. A little hint for you – To get the most Lycopene from your tomatoes heat them in olive oil when cooking them as this releases the Lycopene from the fruit – WINNING! 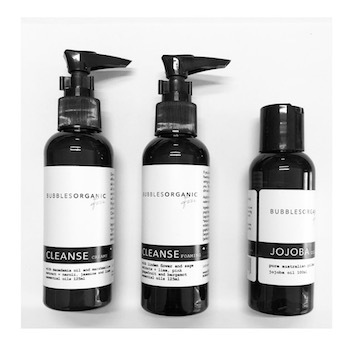 As always we LOVE answering your questions so please if you do want any advice about your skin and how it can feel and look even more amazing please get in touch on info@bubblesorganic.com.au or call 1300 LOVE SKIN.